New Delhi : Union Environment Minister Prakash Javadekar told Rajya Sabha that out of the total 17 tiger deaths, two cases are of poaching while 14 are under scrutiny and one is from other causes. Eight tigers have died in Karnataka, three in Tamil Nadu and two each in Uttar Pradesh and Madhya Pradesh. One tiger each has died in Kerala and Uttarakhand. In 2014, tiger mortality cases were 78, in which 48 are under scrutiny while 14 were confirmed cases of poaching. 16 tigers had died due to other causes. 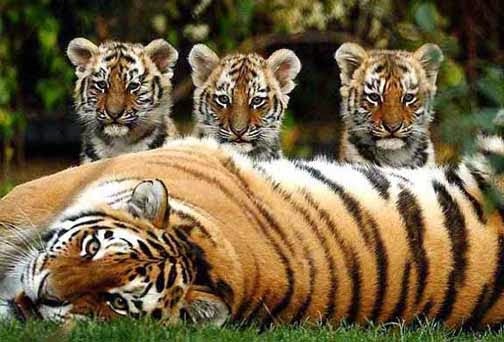 At least two tigers fell prey to poachers as 17 of the big cats died in six states this year, the government today said. Javadekar said that while three tiger deaths had taken place last year in Kaziranga, in 2015 there was no tiger death till now while five Rhinos have died as per figures till March 3 this year. "The general causes of tiger decline are due to poaching, degradation of forest status outside protected areas and tiger reserves owing to human pressure, fragmentation leading to loss of gene flow, man-animal conflicts and others," the Union minister said. He said that the government has taken many steps including legal and administrative for conservation of wild animals including tiger in the country. The government recently said that the tiger population in the country is estimated to be around 2,226 which is a rise of over 30 per cent since the last count in 2010, according to the latest census report.